An expert on immigration and refugee law and policy, transnational law, and citizenship, Alex Aleinikoff has observed how the debate around immigration and refugees has devolved into “predictable soundbites” and partisan bickering. 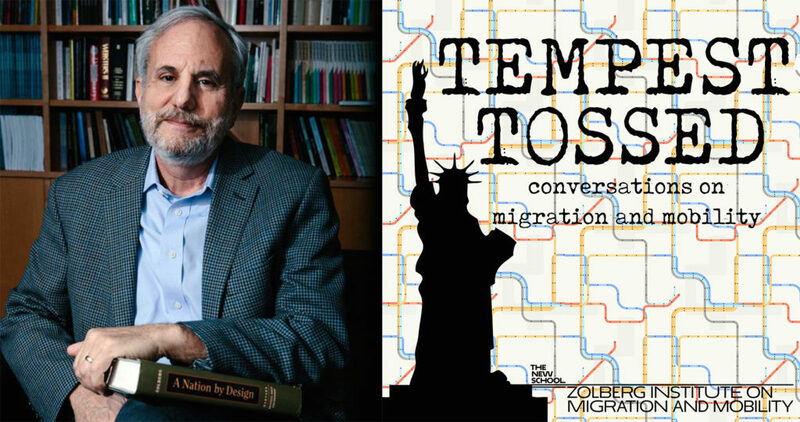 In the first five episodes of Tempest Tossed, Aleinikoff has focused on child separations at the U.S.-Mexico border (with Denise Gilman, director of the Immigration Clinic at the University of Texas at Austin School of Law), the Supreme Court’s decision to uphold the travel ban (with Georgetown Law Professor Marty Lederman), the future of re-united immigrant families (with St. Thomas University Professor Lauren Gilbert), and “zombie ideas” on U.S. immigration (with Rubén G. Rumbaut, a professor at University of California, Irvine and a leading expert on immigration and refugee resettlement in the United States). He also spoke with David Martin, University of Virginia School of Law professor, on why he resigned from the Department of Homeland Security’s Advisory Council.